Hiya guys! How's it going today? Back to work and back to the nail grind *everyday I'm hustling* haha. 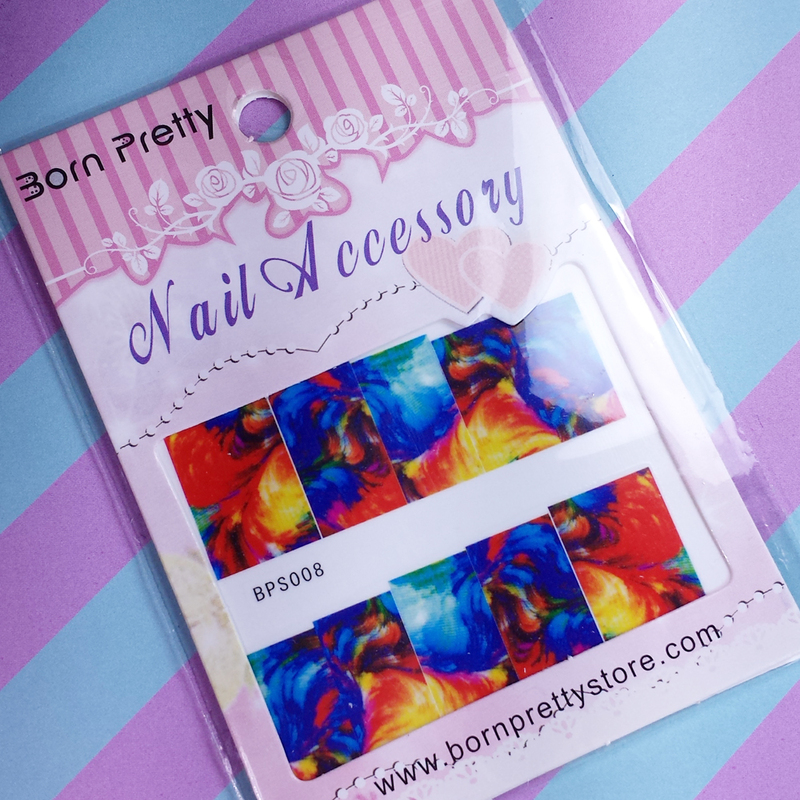 For today I have a review on some oil painting style water decals from the Born Pretty Store. Sounds interesting, right? I am all about the bright fun colors right now so I was super pumped when I first saw them listed. I don't tend to wear decals that often except when it comes to the summer months. Seriously a quick 15 min mani that can last all weekend long? Yes please! Admittedly they are a lot darker in tone than I thought they would be. In the Born Pretty Store the color for the decals looked almost neon, it's a shame the shades aren't as bright. Regardless of that though I am still a big fan of the way they came out. While the decals apply with ease, they seem to crack and peel quite a bit during the application process. To alleviate this issue, I chose to lightly color in the peeled areas with some acrylic paint (I could of done so with polish as well). Definitely a lot more time consuming than I had originally thought it would be. One thing I would like to note is that these decals do seem to cater more towards shorter nails. The width of decals are also very narrow and I honestly had to use the 'thumb' one for my middle nail, which left my thumb without one to wear. So although the pattern is really fun and funky you have to be a little cautious when purchasing them. These oil painting style water decals can be purchased from the Born Pretty Store listed as item #16262. Each packet contains exactly ten decals, which leaves no room for error if this is your first time. My advice would be to either use these as accent nails or purchase two packs in case something causes it to ruin during application. Luckily each pack is very affordable and only costs $1.99. If you'd like to shop over at Born Pretty Store be sure to use my code ROHH10 to receive 10% off your purchase. As always you'll receive free shipping, however, shipping does take around 3-6 weeks. Shame about the peeling. Things like this don't stay on me. Even when professionally applied they peel within 20 minutes. I am not very rough on my hands so wraps usually stay on me for at least a week without peeling lol. These look so pretty! Shame about the peeling though, I imagine it would be easier to use jelly polish to DIY my own decals! 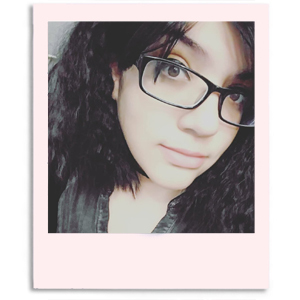 These are really cute; I wish the application was better though. It's kind of sad these are so short as well. My nails aren't particularly long, but they may be too long for these. Too bad about the peeling. They're cute. Yes it would be nice if they were brighter, but they are uber cute! 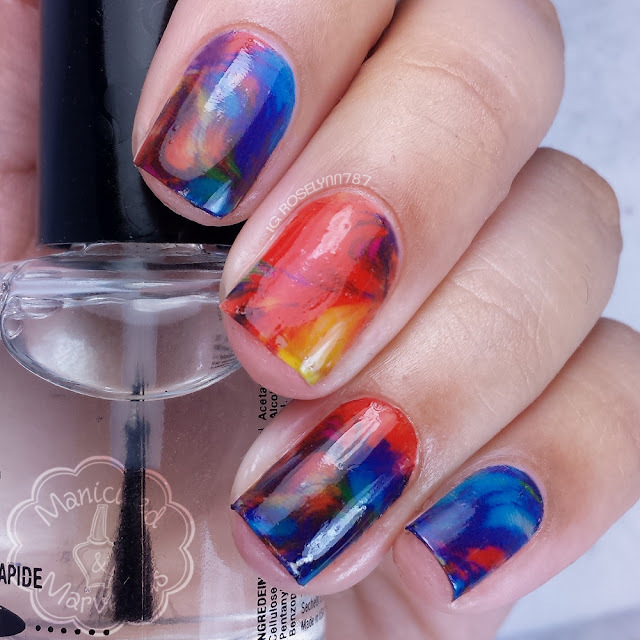 These look so pretty, I don't love using full-nail decals though. Too bad there are only 10 in a packet, makes it almost impossible to do an actual full mani! I like the pattern though :). I really like the way they look but too bad about all the mess! I love these!! I find it hard to find nail decals that will fully fit my fingers too. I really wish they would make them in a full sheet instead of individual nails because I would be without one for my thumb too!! Wow, this oil painting decal looks so interesting. 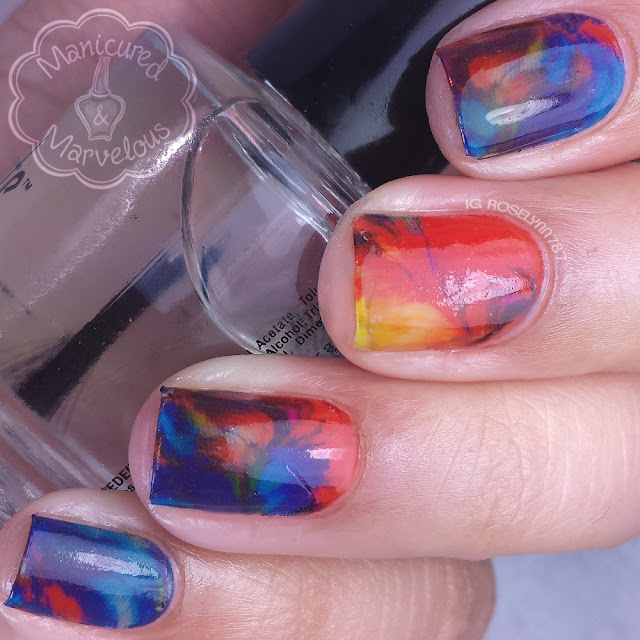 Looks like dry marble with jelly polishes.